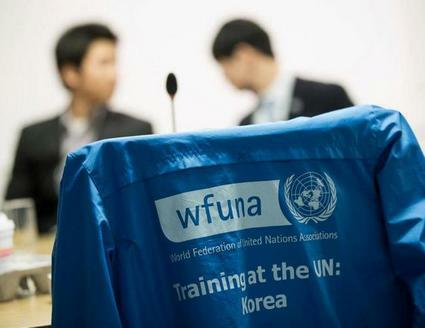 1946년에 발족된 유엔협회세계연맹(WFUNA)은 전세계 100여개가 넘는 유엔협회와 수천 명의 회원을 대표하는 기구로, 유엔과 시민사회 간의 원활한 활동과 소통을 위한 중재 역할을 담당하고 있습니다. WFUNA는 유엔을 지지하고, 유엔의 활동에 적극 관여하는 국제비영리기구입니다. WFUNA는 전세계가 공통으로 직면하고 있는 도전과 기회에 막강한 영향력을 행사하는 유엔(UN)의 비전을 존중하고, 유엔을 강화시키고 발전시키기 위해 노력하고 있습니다. WFUNA는 다양한 프로그램, 캠페인 그리고 교육 활동을 통하여 유엔의 가치와 활동을 지지하기 위해 유엔협회에 정보를 제공하고, 활동 에 대한 참여를 유도하고 있습니다.현재 WFUNA는 다양한 국가의 유엔협회 회원을 통하여 전세계 모든 지역에 있는 다양한 사람들을 이어주는 가교 역할을 하고 있습니다. WFUNA는 세미나, 웨비나, 워크샵, 훈련, 해외탐방 및 인턴십 등을 통해 시민사 회와 청소년들을 교육하고 있습니다. 우리는 과거의 경험, 교훈 그리고 참가자 들로부터 의견등을 봉사활동 및 프로그램에 적극 반영하여 대상 그룹에게 필 요한 교육을 제공하고자 노력하고 있습니다. 교육과 실천을 통하여 WFUNA는 유엔이 당면한 의제를 해결하는데 일조하고, 전인류가 보다 나은 삶을 누릴 수 있도록 정진해 나갈 것입니다. ﻿The mission of the College of International Studies, often called Kyung Hee International College or KIC, is to educate and train future international specialists who will play a leading role in the era of globalization with a broad perspective and the necessary skills for leading international organizations, global corporations, the mass media, NGOs, and public sector agencies. To achieve this goal, KIC provides a truly inter- and trans-disciplinary curriculum that includes the study of international relations, international economics, global business, and East Asian studies. KIC runs a 100% English based curriculum where all the classes are conducted in English. KIC also has a joint Bachelor's and Master's degree program with the Graduate School of Pan-Pacific International Studies, or GSP, which allows students to get both degrees in 5 years. KICians are truly proud of the variety of curriculum and extra-curricular programs and activities available through KIC. DebateStudy firmly believes in the merit of argument. As a society we need to argue more not less. We need to argue in the streets, in the boardroom, in the parliament, in schools, in cafes, at home. But we need to argue with purpose, with reason and with control. We need to debate. The foundation of any civilized society rests on the ability of its citizens to vigorously but respectfully disagree with each other, and learn from each other in the process - and then shake hands and have coffee (or tea, or juice). Our goal at DebateStudy is to facilitate the creation of this society by promoting the skill, art and most importantly, mindset of debate. This is something we do with schools, non-governmental organisations, private institutions and just about anyone who is interested. We do it by creating curriculum, organising workshops and building communities. We do it, through debate. 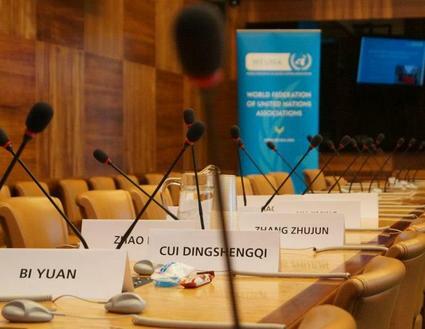 DebateStudy is proud to be a partner of WFUNA and assist in their mission to create a more responsible and engaged world. We are excited to work with them for the 5th year running and organize the most exciting debate camp in Korea, perhaps even North-East Asia. Most of all, we are elated to be able to work with you, the energy of this society. You are the leaders of today, not tomorrow. We hope to help you lead. (사)미래희망기구는 지속적 후원활동과 다각적 교육활동을 영위하고 있습니다. 희망나눔 운동화, 봉사동아리 지원프로그램과 같은 후원활동과 더불어 글로벌리더십 영어 경연대회(GLEC), UN본부 교육프로그램인 Training at the UN: Korea(TP: Korea), 서울대학교에서 진행되는 Youth Forum: Korea(YP: Korea) 등과 같은 교육 프로그램을 통해 국내외 청소년들이 글로벌 리더로써의 기본 소양과 자질을 갖추게 하며, 국제 무대에서의 경쟁력 확보와 더불어 글로벌 리더로 도약할 수 있는 발판을 마련하고자 노력하고 있습니다.